Our roadways are getting smarter every day because of new technologies, which generate solar energy, for improving the operation of autonomous cars, for lighting, and for monitoring the condition of the road. The EV market has sent lithium companies soaring as projected demand has gone over the top in the last quarter. 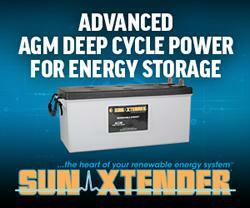 Another innovation in fast charging battery technology could only mean good things for lithium battery life. Saudi Arabia wants to pour $200 billion into solar to build the world's largest solar project. 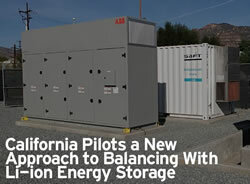 This pilot energy storage system (ESS) offers the near-instantaneous ability to respond to changes in load. It will demonstrate how GWP can achieve an unprecedented capacity to regulate its transmission system and ensure a reliable customer supply.